As part of our “painting odd things” series, we present the painted trunks of our citrus trees! Why? 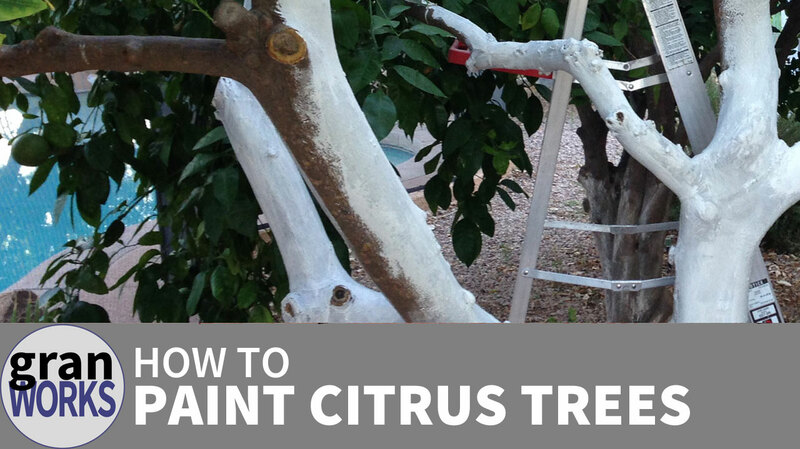 It’s not for appearance — it’s because citrus trees can get sunburnt and the paint acts as a sunscreen.